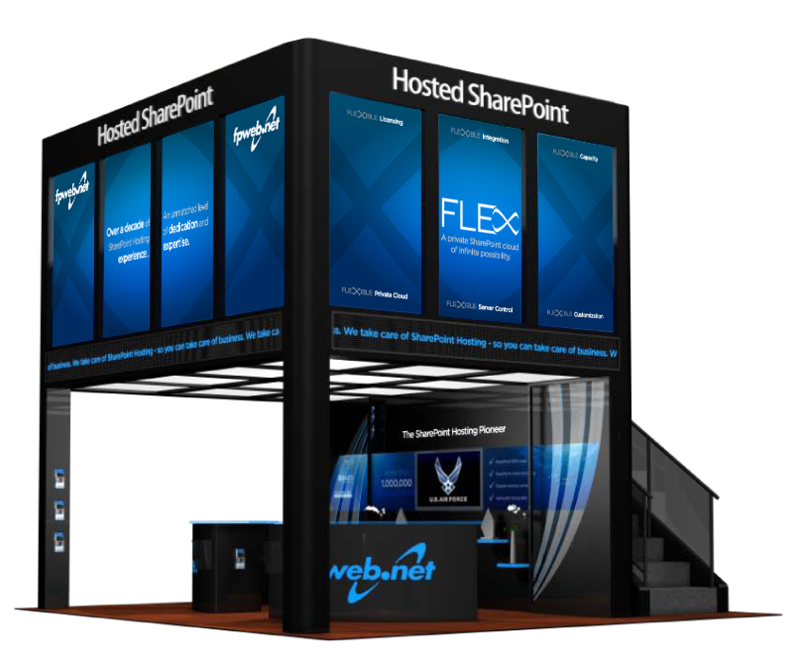 For the 2011 Microsoft SharePoint Conference, Fpweb.net wanted to make a massive statement. 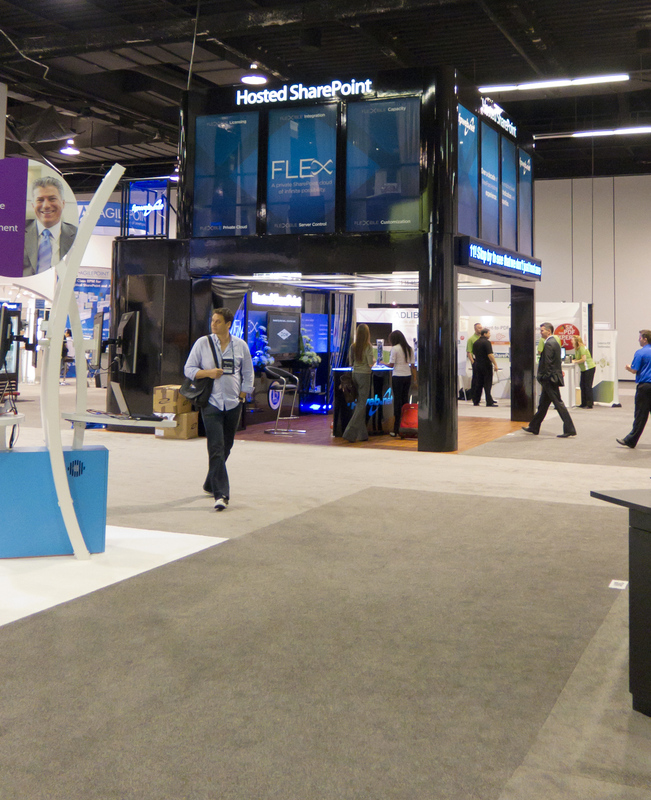 We designed a 2-story 20'x20' Island display, complete with a lounge upstairs. Code-named "Boothzilla", the finished product was the talk of the conference, and tweeted about more times than could be counted. I designed the window glass artwork, and provided Creative Direction on the entire project, which took roughly 18 months start-to-finish.